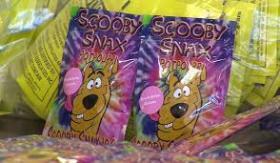 Two synthetic marijuana products -- identified as "Scooby Snax" and "Purple Flake" -- have sent more than two dozen people to the hospital in Gainesville. Health and police department officials are unsure as to whether or not the tainted products, commonly called "spice," are being sold in other areas since they are illegal and hard to track. But both law enforcement and health workers may want to be on the lookout. The drugs are apparently tainted and “highly toxic,” according to Alachua County Health Department Director Paul Myers. The Gainesville Sun reported Sunday that 28 people were sent to the hospital in the last few days after suffering seizures and other problems while using the drug. Some were released, but some were still being treated. Jeff Blundell of the Gainesville Police Department said authorities raided Land B4 Time at 624 N. Main Street after a person being treated by emergency responders told medics they had purchased the drug known as "spice" at the smoke shop. Blundell said Drug Task Force members seized several pounds of the designer drug in the raid. He says no arrests have been made but charges are pending. 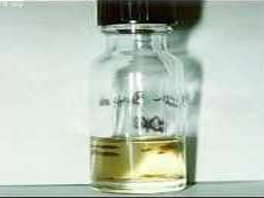 The Gainesville Police Department and the Alachua County Health Department have issued warnings about the drug. A move to make it harder for investigators to get access to a statewide prescription-drug database is in trouble. Senate Health Policy Chairman Aaron Bean, who's pushing the changes, on Tuesday pulled the measure (SB 7016) from his committee's agenda, citing concerns of Sen. Jeff Brandes, a St. Petersburg Republican who also serves on the committee. 1) "Smiles" is a hallucinogen whose effects are not immediately felt, increasing the risk of overdose. It can be taken as small tables, on blotter paper, or in powder form, often mixed with something else--chocolate, for instance. Side effects include loss of control, panic, heart palpitations and memory loss.